This document should be used as a guide to develop your own personal study plan. 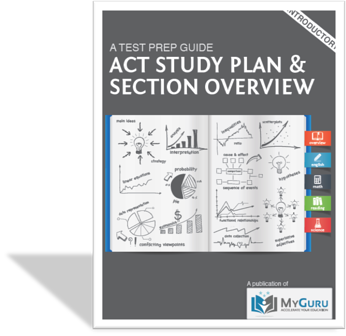 Before delving into the study plan itself, you'll need to review the topics you will encounter on all four sections of the ACT: English, Math, Reading, and Science, since the content of the tutoring lessons is dictated by these sections. We are a boutique education company providing customized 1-on-1 tutoring, test prep, & trusted advice through an elite team of independently contracted tutors. We offer customized tutoring to high school, college, and graduate school students, as well as test prep for the ACT, SAT, GRE, GMAT, LSAT, MCAT, & CFA exams. We recruit only highly experienced tutors with impressive backgrounds - and then we set the right context upfront to ensure successful student-tutor relationships.